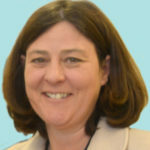 In June 2018 the Home Secretary announced that Julia Mulligan, elected Police and Crime Commissioner for North Yorkshire, would take on the governance of North Yorkshire Fire and Rescue Service. The transfer of governance took place on Thursday 15 November 2018. Transparency information will be published here when it becomes available. Transparency information provided by the Fire Authority is available on the North Yorkshire Fire and Rescue Service website.